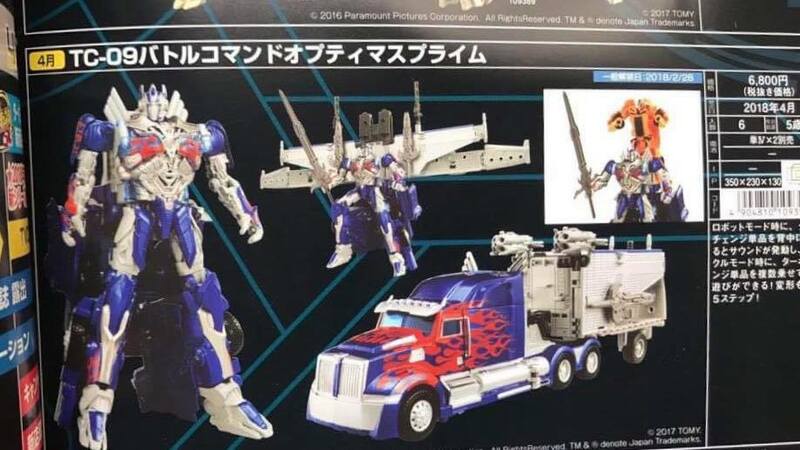 Thanks to the Planet Iacon Singapore Transformers Facebook page, we have word of a reissue for the Battle Command Optimus Prime figure. Originally released in 2014 as LA-01 Optimus Prime Battle Command, this figure features a trailer that can convert into a jetpack attachment while in robot mode, as well as a battle station of sorts for other Autobot figures. Right now we only have initial information, which contains a release date of April 2018 and for 6,800 yen (roughly $60 USD). Stay tuned for more information here. Hit the discussion link below to share your thoughts! I'm curious. If this figure is TC-09, what are TC-01 – 08? Freedom is the right of all sentient beings … to be a Victoria's Secret angel.